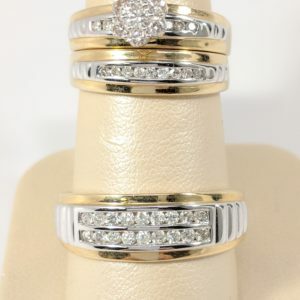 A Trio Wedding ring Set represents your relationships past, present & future. 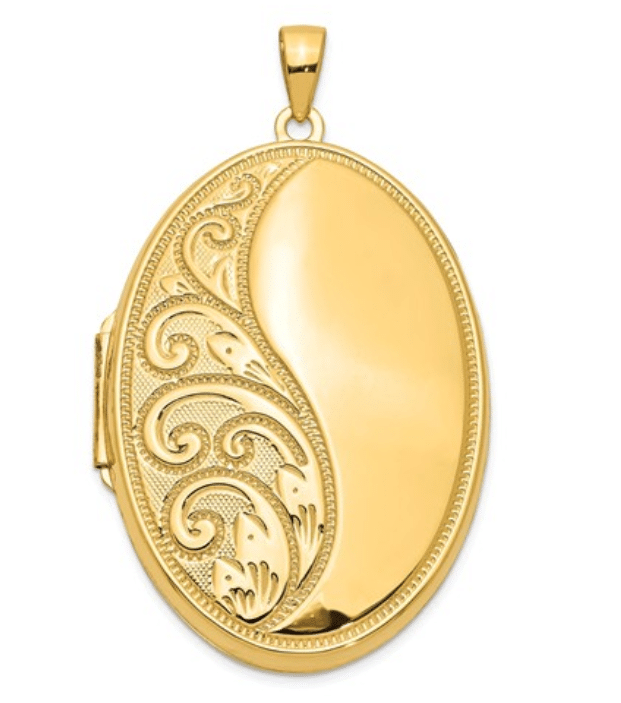 Beautifully designed in 14 karat yellow gold with 1.25 CT in diamonds. 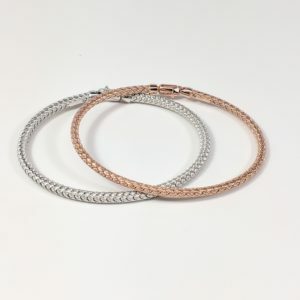 These delicate and beautiful 14 karat white and rose gold flexible bangle bracelets are perfect to wear alone or together. 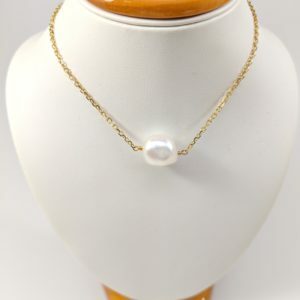 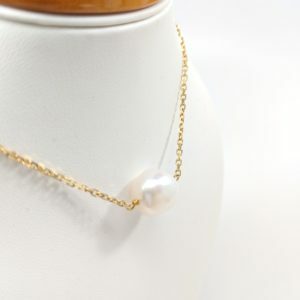 What a perfect gift for a loved one: this beautiful white cultured pearl necklace made of 14 karat yellow gold. 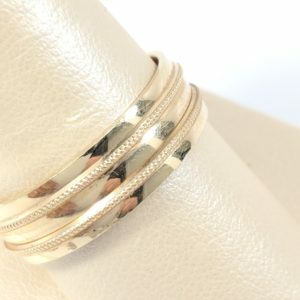 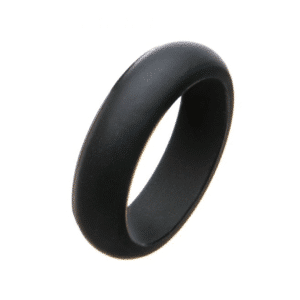 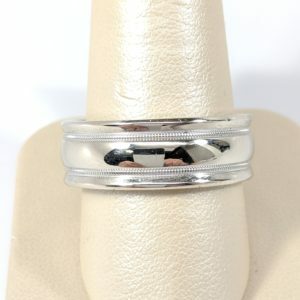 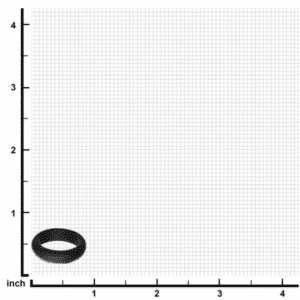 Men’s white gold wedding band made of 14 karat gold. 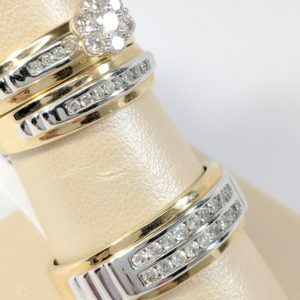 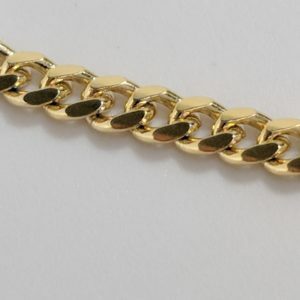 Men’s wedding Band made of 14 karat yellow gold. 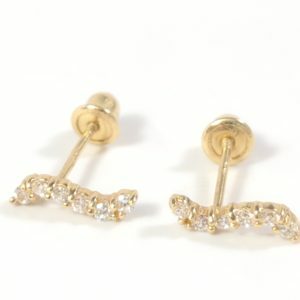 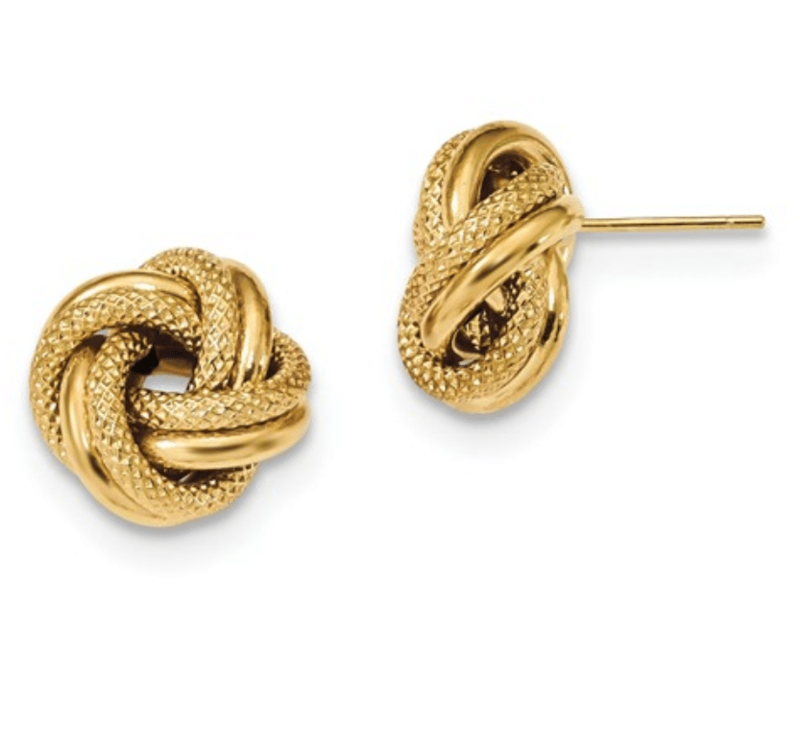 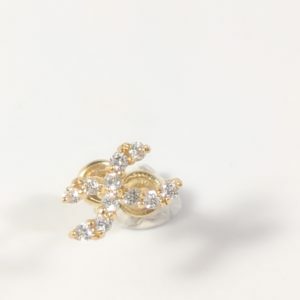 CZ Stud Earrings in 14 karat yellow gold. 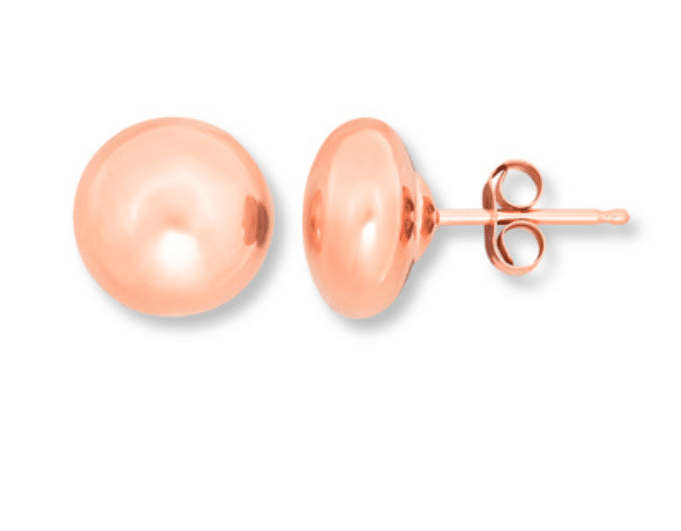 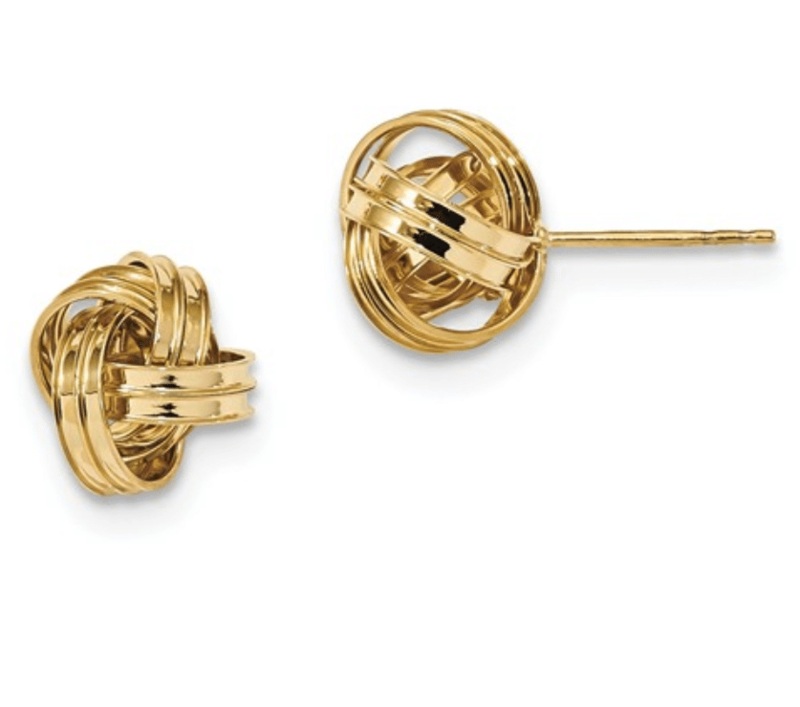 These earrings have screw backs for secure wear.